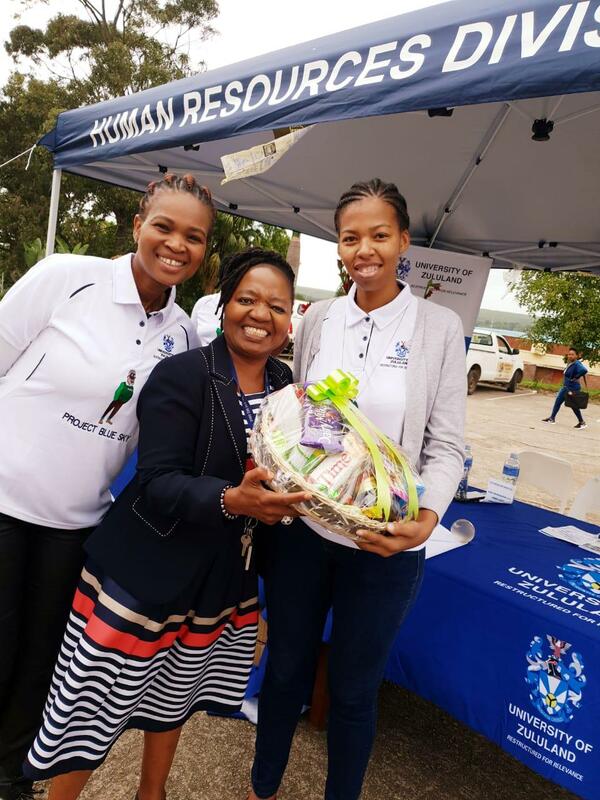 The Human Resources Division (HR) at the University of Zululand (UNIZULU) recently launched Project Blue Sky, a new initiative aimed at further promoting excellence in staff performance, at the KwaDlangezwa Campus. The initiative is a planned change management intervention aimed at facilitating the implementation of the Performance Management System (PMS) which was reintroduced to the institution in 2016 in order to realise its vision and mission. Project Blue Sky was recently birthed with the hope of bringing a catalyst to PMS. It is being rolled out in a collegial manner with the participation of the Steering Committee (EXCO) Sponsor, Project Manager, representative for academia, representative for support staff and change agents. The change agents have been trained and are fully equipped to support their fellow colleagues, in successfully implementing PMS. According to Lwazi Kleinbooi, Project Manager for Project Blue Sky, engaging the various stakeholders of the University in the implementation process of Project Blue Sky is geared towards helping staff members to comprehend what PMS is about as well as what its benefits are for the institution. The PM cycle is divided into three phases namely, the contracting phase from 1 January to 30 March, mid-year review phase starting from 1 July to 30 July and the year-end assessment phase starting from 1 November to 30 November. The current challenge facing the university is that not all employees have been compliant thus far. With Project Blue Sky, the goal is to see 100% staff compliance by March 2019. During her speech at the launch, UNIZULU Vice-Chancellor Professor Xoliswa Mtose expressed delight in the level of excitement exuded by members of staff during the event. She mentioned that the project was a breakthrough in the institution. “From now onwards, staff and Executive Management will sing from the same hymn,” Prof Mtose said. She urged staff to continue serving the University with integrity and thereafter encouraged change agents to make meaningful contributions to the project in order to see it bearing fruits. Finally, she thanked HR for joining hands with Executive Management in making the day a success. Also in attendance during the launch were Raynolds Ngcobo, Executive Director: Human Resources and Nhlanhla Cele, Executive Director: Institutional Planning and Pieter Du Plessis Executive Director: Finance, who had deep appreciation for the efforts HR and change agents were putting into the successful implementation of both Project Blue Sky and PMS. University of Zululand Staff during the launch of Project Blue Sky.